Organic 100% Blue Agave Tequila, Estate Bottled and Distilled. Naturally, the Best Tequila. Family owned and operated in Texas since 2008 by 4th generation agave farmers. The master distilled is in Amatitan, Jalisco. Together our families have perfected the best tasting tequila recipe, Puro Verde. Pure Organic - Puro Verde is endorsed by the USDA and certified organic by world renowned, BioAgriCert. Green and organic from seed to sip: cultivation and fermentation to filtration and distillation. Puro Verde is made without the use of pesticides, chemical fertilizers or yeast. We bottle with pure spring water sourced from the plantation. Puro Verde Silver is the purest expression of Organic 100% Blue Agave Tequila: clean and crisp. Perfect for a mixer, to accompany sangrita or enjoyed straight, the smooth, pure taste of Puro Verde Silver fits every occasion. 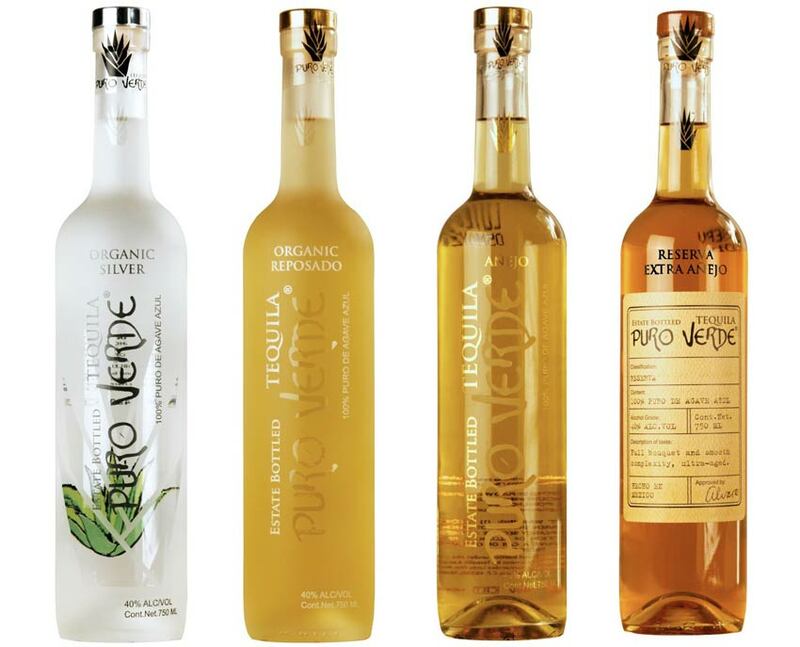 Puro Verde Reposado is the smoothest, most versatile Organic 100% Blue Agave Tequila. Lightly barrel rested for a softened taste, savor the complex spirit of Puro Verde Reposado neat, with lime or in your favorite mixer. Puro Verde Anejo is the balanced taste of both smooth and spice in all natural 100% Blue Agave Tequila. Standing up to any single malt or single barrel spirit in both complexity and richness, Puro Verde Anejo is for the savoring. Gently aged in oak bourbon barrels for 18 months. 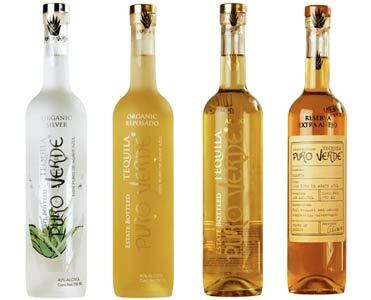 Puro Verde Reserva Anejo encapsulates the fullest body and smoothest complexity of all natural 100% Blue Agave Tequila. Standing on its own among the finest single malt scotch, single barrel bourbon or cognac, this is a recipe for aficionados. Gently aged in oak bourbon barrels for 5 years. Distillery: Tequila Las Americas, S. A. de C. V.
Maria Guadalupe de Hernandez Loza, 45 Col. Obrera C.P. 45380. Region: Tepatitlan de Morelos, Jalisco.